90 Day Fiance: What Now? 's third season has been released online by TLC and is currently available for streaming, providing 90 Day Fiance viewers with updates on nearly a dozen couples -- including Jonathan Rivera and Fernanda Flores, Kalani Faagata and Asuelu Pulaa, and Rachel Bear and Jon Walters. TLC released 21 third-season episodes of 90 Day Fiance: What Now? for streaming on its website and TLC Go app on Monday. Each episode runs anywhere from 6 minutes to 14 minutes in length, not including commercial breaks. A total of 11 different 90 Day Fiance couples are featured in the third season of 90 Day Fiance: What Now?, with some couples having two or three episodes devoted to them. 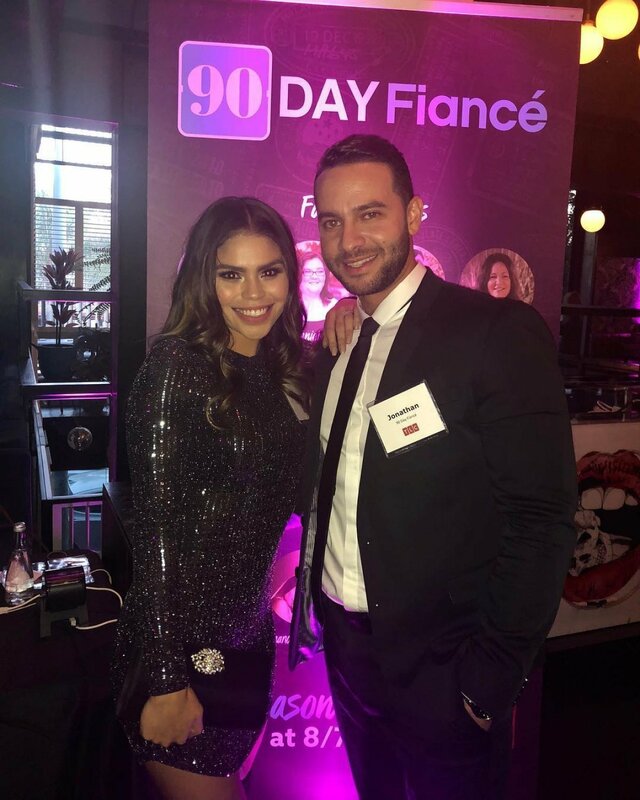 Eight of the 11 couples initially starred on 90 Day Fiance, while three originally appeared on TLC's 90 Day Fiance: Before the 90 Days spinoff. The eight former 90 Day Fiance couples are Alan Cox and Kirlyam Cox from Season 1, Danielle Mullins from Season 2, Loren Goldstone and Alexei Brovarnik from Season 3, Kyle Huckabee and Bajaree "Noon" Boonma from Season 3, David Toborowsky and Annie Suwan from Season 5, Molly Hopkins from Season 5, Jonathan and Fernanda from Season 6, and Kalani and Asuelu from Season 6. And three couples who originally appeared on 90 Day Fiance: Before the 90 Days are Larry Passariello and Jenny Torres from Season 1, Tarik Myers and Hazel Cagalitan from Season 2, and Rachel and Jon from Season 2. 90 Day Fiance: What Now? is a TLC GO digital original series that's available for streaming on TLC's website and TLC GO app. In prior seasons, TLC has re-edited 90 Day Fiance: What Now? 's content into hour-long episodes that have been broadcast on its cable network at some point after the season's online release. However, TLC has yet to officially announce a broadcast schedule for 90 Day Fiance: What Now? 's third season.